How to download and install the Kirks Build for Kodi Krypton. 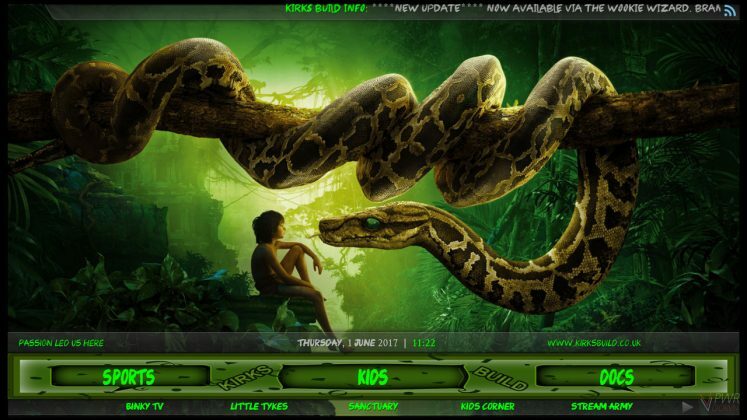 Kirks build is a good choice for your Kodi setup, with lots of great add-ons. 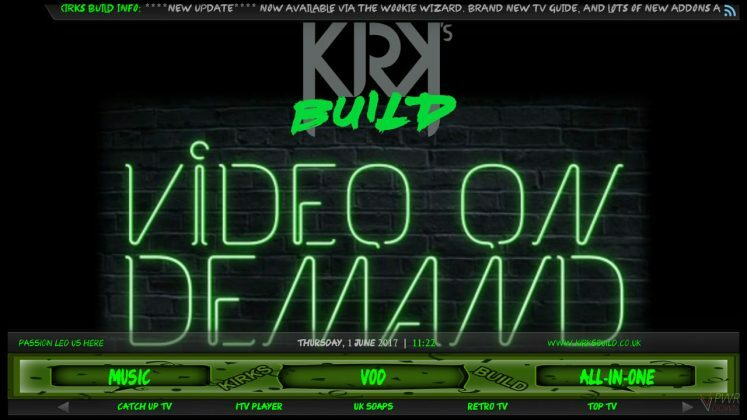 Kirks Build is a great build which is packed with content, provided by many different add-ons. It has sections for Movies, TV Shows, Sports, Kids, Documentaries, Music, Video on demand, all in one and add-ons. 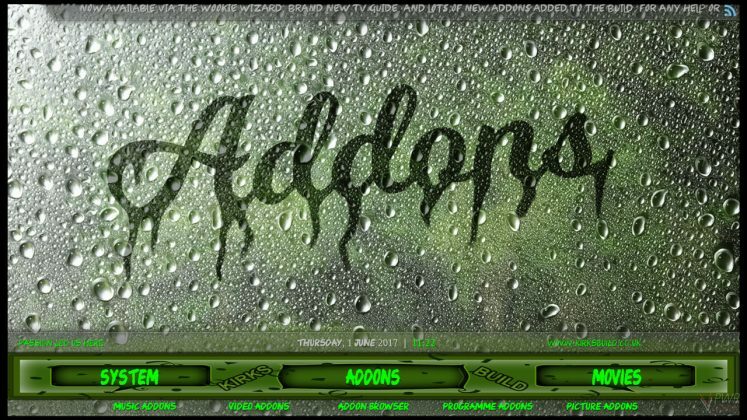 It uses the Aeon Nox skin, but it’s been customized to match the green style from the rest of the skin. 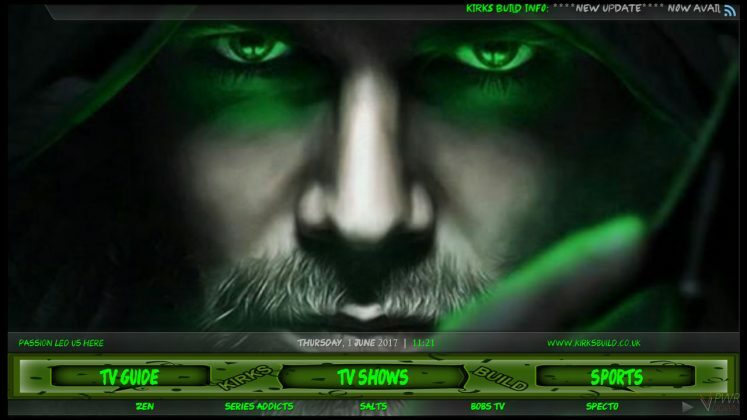 Kirks Build is installed using the Wookie Wizard, which has a lot of other builds inside which you are free to try out. 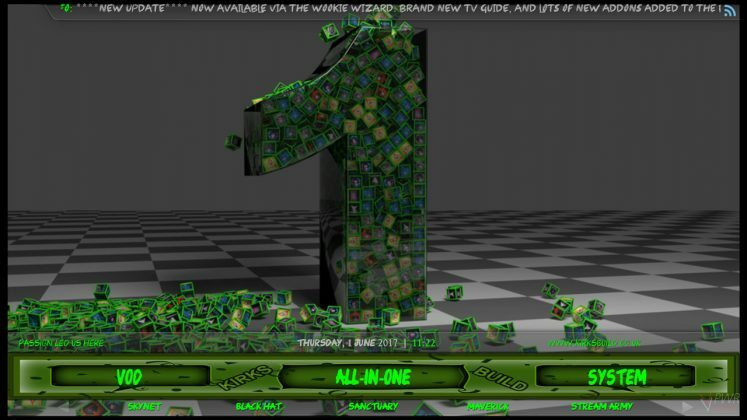 The installation guide will also be relatively similar for Kodi Jarvis. 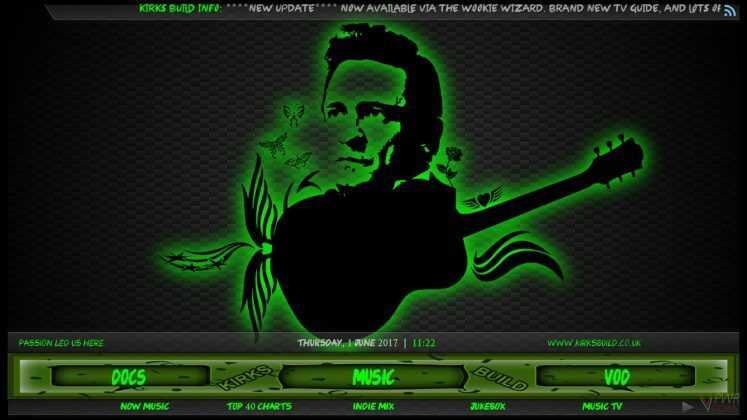 Give it a few minutes to install. 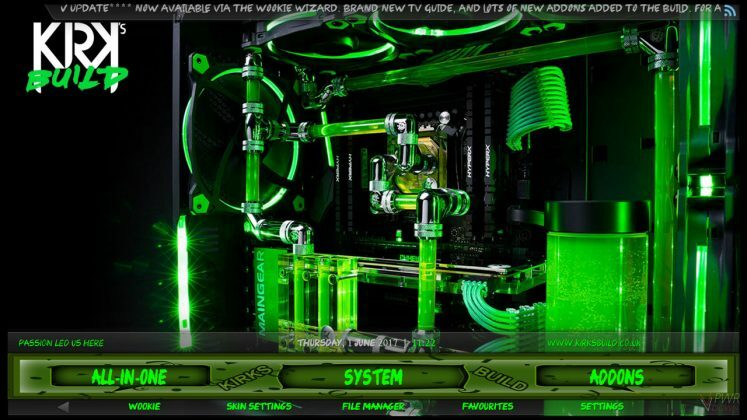 Choose the build you wish to install. Open Kodi again, and the build is installed and ready to use. 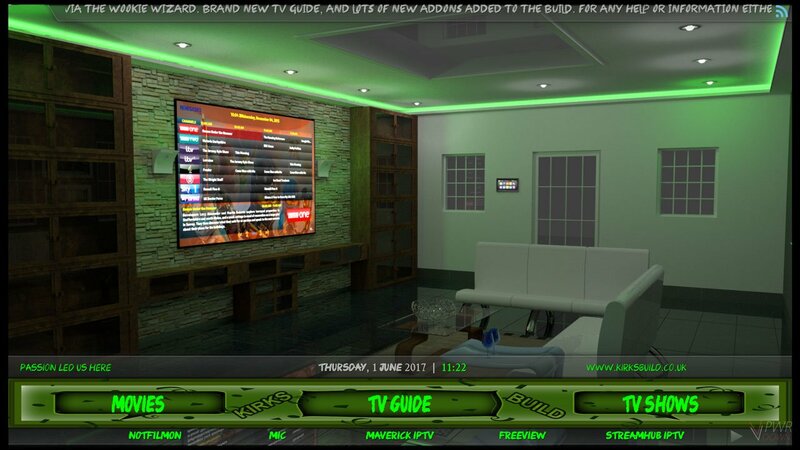 how do I get the NFL on the stick. ?